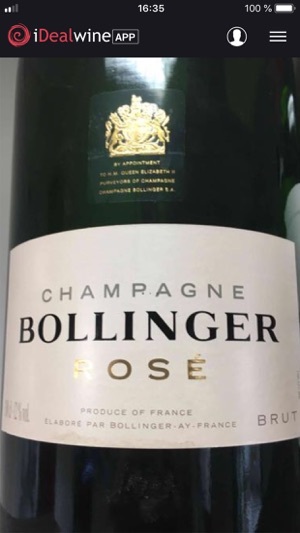 Since its creation in 2000, iDealwine has offered an exceptional range of wines in a wealth of vintages available to buy both at auction and at fixed-price direct from the domains. Our team of specialists has crafted a premium selection of wines that ranges from rare bottles to affordable gems both to cellar and enjoy now. 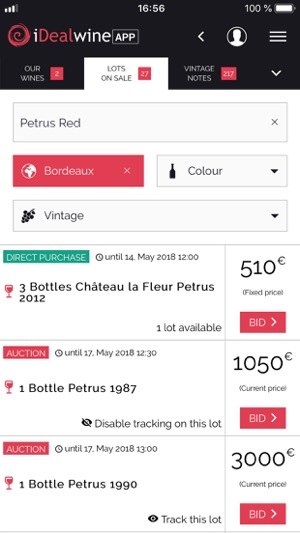 To guide you in your purchases, iDealwine gives you access to its unique database of price estimates based on recent auction results: it features over 60,000 wine references and 3 million prices collected over 20 years. We also publish monthly auction reports that reveal the latest trends on the wine market. 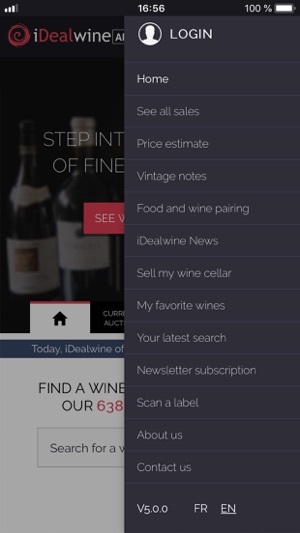 Over 455,000 subscribers from 120 countries manage their cellar with iDealwine. European leader in online auctions of wine, we also assist our customers in selling their wines. With 3 auctions a month and a global reach, we offer a complete service (valuation, expertise, collection, insurance, sale and a guaranteed payment). 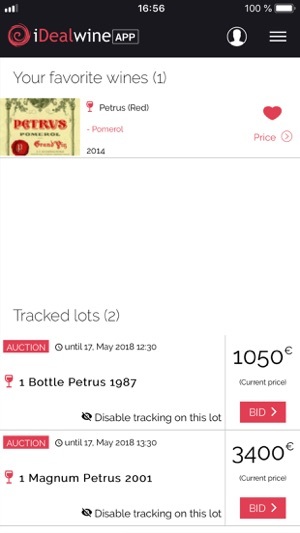 Want to look up the price of a wine? 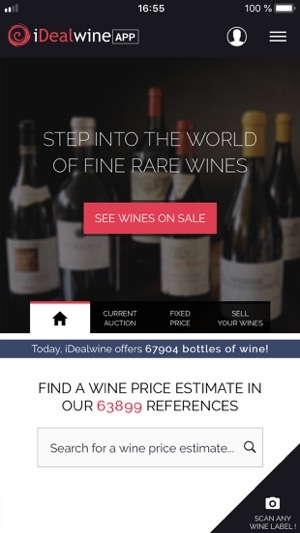 The Price Estimate app gives you access to iDealwine’s comprehensive database that includes information on price estimates, relevant information on the domain, tasting notes and peak drinking times. 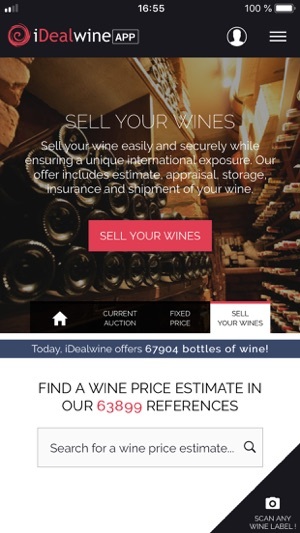 iDealwine price estimates are based on auction results and once downloaded, you’ll get access to millions of estimates without having to be connected. 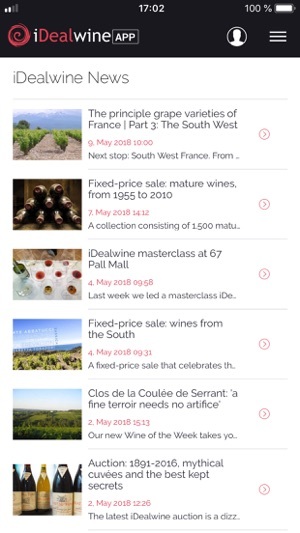 The app also offers you vintage charts region by region, food pairing recommendations and the latest news from the world of wine. To access our price estimates you must create an iDealwine account. 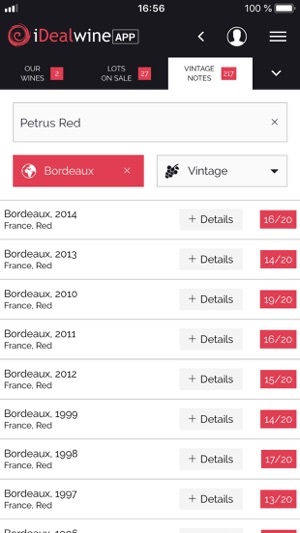 Your unique account will give you access to both website and app and allows you to manage your cellar and buy/sell wine. 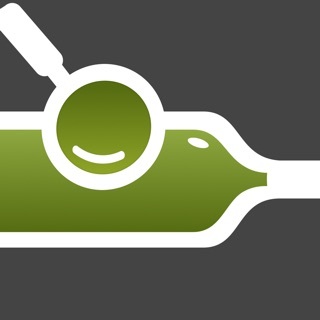 iDealwine.com is an international online platform that allows you to buy/sell wine and look up price estimates. It also provides useful tool to help you learn more about wine and better manage your cellar and your investments. Your subscription is personal and not related to a single device, simply connect with your login to any phone or tablet. The entire application has been completely revised to improve user experience. You can now also access many functions that were previously only accessible via the website (participate in sales, connect to your account, etc.). 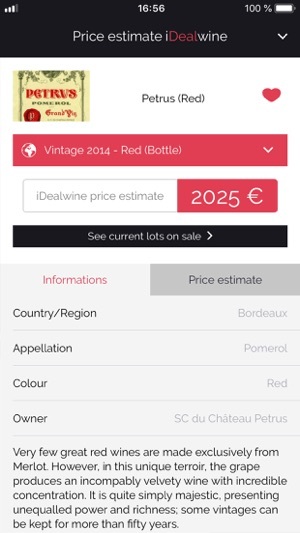 You’ll have access to the iDealwine price estimate database even when you’re not connected, which is often the case when you’re in the cellar! 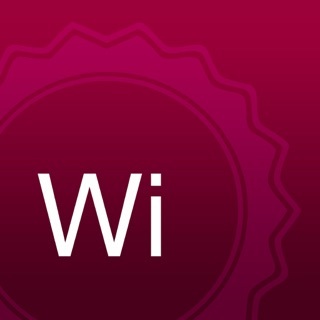 Note that you can now also create an iDealwine account via the app. Your unique account will give you access to both website and app. We hope that you enjoy the latest version. If you encounter any difficulties when creating your account, or for any other queries regarding the app don’t hesitate to contact us: info@idealwine.com. An essential app for wines lovers! !